Cross Encounters: Would They Write "Nasrani" on Your House? The image to the left is a spray-painted representation of the letter "N" in Arabic. The meaning and significance of this kind of graffiti is that the Arabic letter "N" stands for "Nasrani," the Arabic word for "Nazarene." 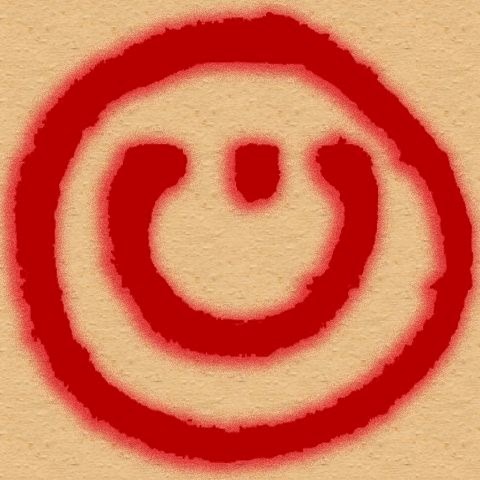 Nazarene is a slang term for Christians in Islamic-dominated, Middle Eastern nations. ISIS (Islamic State of Iraq and Syria) are engaged in a systematic purging of Christians and professing Christians from Iraq and Syria. The most dramatic example of Christian purging is the complete removal of Christians from the Iraqi city of Mosul. The City of Mosul has a Christian heritage of almost 2,000 years. That heritage became a memory in the last 48 hours. Christians were given an ultimatum from Muslims (adherents of the so-called "religion of peace"). They had to either convert to Islam, pay a Christian or non-Muslim tax called the "jizya," leave the city, or face execution. Most recently, the "jizya" was removed as an option. So, Christians were down to only three options: convert, leave, or be killed. Having forced all of the Christians out of Mosul, Muslims dotted their barbaric "I's" and anti-Christian and antisemitic "T's" by blowing up the traditional site of the prophet Jonah's tomb. Ironically, Muslims are taught to respect and believe the Old Testament prophets, including Jonah. But, since the false god of Islam is inconsistent, deceptive, vacillating, and capricious, it is no surprise that worshipers of this false god would follow suit. What just happened in Mosul, and what has happened in Muslim-dominated lands for centuries, is remarkably and tragically similar to what the Nazis did to the European Jews prior to and during World War II. 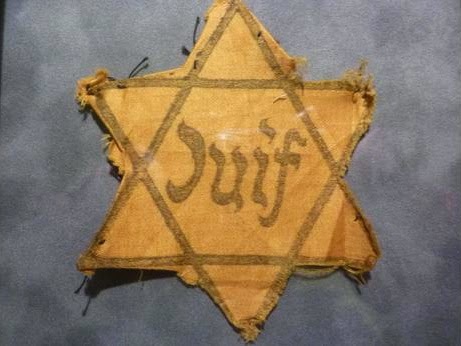 Homes and businesses were spray-painted with the Star of David, and Jewish people were forced to wear the "Yellow Badge." Both the Christians in Mosul and the Jews in Nazi Germany were easy to identify. They did not dress like their persecutors, act like their persecutors, talk like their persecutors, worship like their persecutors. They were different and, in many cases, demonstrably so. The day is coming when a symbol will be spray-painted on the homes and businesses of Christians living in the western world, including the United States. The day is coming when Christians will have to wear some kind of insignia to distinguish themselves as a "Nasrani," a "Nazarene," a member of "The Way," a Christ Follower, a Christian. With the rapid spread of Islam, it could very-well be an Arabic letter "N." Or maybe it will be the English letter "C," or a cross, or the Ichthus. So, here's my question. Would worshipers of the false god of Islam write "Nasrani" on your home or business? Would they write it on your locker at school? Would they have any reason to make you wear the Arabic letter "N" on your clothing? While true converts to Islam primarily hate Christians because they hate God and His Word (although they would never admit to this truth), they also hate Christians for other reasons. Muslims loathe Christians, particularly Christians who live in western cultures, because they see Christians as hypocrites who do not live what they profess to believe. They loathe Christians because they see Christians as irreverent and ungodly. They despise Christians because they do not live set apart (holy) lives in honor and worship of the God in whom they profess to have faith. Unlike in Muslim-dominated countries where Christians seem to stand out from the Islamic crowd, most professing Christians in the west look like the world, talk like the world, otherwise act like the world, and love the world. Many professing Christians in the west blend in with the world around them. And that's how they like it. They find contentment in spiritual obscurity. They are comfortable in their suburbian or urban lifestyles, convinced they are living their lives in such a way that people are bound to ask them why. But no one asks. And that's okay with them, too. No one sees Jesus in most professing Christians in the west because the unbeliever is utterly incapable of seeing Jesus in them, if He's there (1 Corinthians 2:14; Ephesians 2:1-3). No one sees Jesus in them because they are so busy vying for acceptance from the world (James 4:1-4) that they simply blend in with everyone else. And they are offended by genuine followers of Christ who, by their demonstrative Christ-likeness, which includes speaking publicly about Jesus, upset the status quo and the peaceful, easy feeling in which professing Christians love to envelope themselves--all the while insisting to their other professing Christian friends, while nestled deep inside their Christian bubble on Sunday mornings, that they love Jesus. Would they write "Nasrani" on your house, Christian? If you are not obeying the commands of Jesus, which is the visible demonstration of one's love for Him, then you are probably safe. If you are not living the life to which Paul called Timothy (1 Timothy 6:11-12), a life in which Christ-likeness, albeit imperfect, is normative and your passionate pursuit, then you are probably safe. If you are not opening your mouth to proclaim the gospel at work, at school, at your friend's house, at baseball practice, in your own living room, and yes, on the streets, then you are probably safe. If you care more about your friendships than the souls of your friends, then you are probably safe. If you so overly contextualize Jesus so he is palatable to the unbeliever in his lost lost state, then you are probably safe. If you say you love Jesus with your lips on Sunday morning in church, but, in reality, your heart is far from him, then you are probably safe. If liberty is more important to you than holiness, then you are probably safe. But if you are a genuine follower of Jesus Christ, He has neither called you to nor promised you physical safety in this life. He has called you to deny yourself, take up your cross daily, and follow Him. Well, "Christian," would they write "Nasrani" on your house? Would you even want them to? Another good article brother. By God's grace a possible tool God can use to wake up sleeping "Christians". Great message Tony. It is time for Christians to wake up. What a great question: "Would they write "Nasrani" on your house?"